I recommend it to all. IT is a very useful tool that helps to perform tests of all kinds quickly, and obtains reliable results with high accuracy. We all have different needs, but for mine it is perfectly suited. However, it requires clear requirements before using the tool. Consultor Tecnico - Java Developer and Php Developer. Lambdatest allowed us to manage and track all bugs with the help of it's issue tracker feature and integration with Slack. I feel bad sometimes because we can not test our apps which are downloadable to mobile.I appreciate collection of browsers and operating systems available on LambdaTest, it helped us in providing the beautiful user interface to our clients. It is very easy to use and adapt, allowing the QA to do the tests faster and detect errors in a timely manner. It has helped us decrease development time on new applications, since we used to spend a lot time solving errors after the launch of the application. It has helped us a lot in our testing processes, since the tool contains exploratory tests with which critical errors can be detected in an efficient and fast way. In turn, we have good follow-up on our products, thanks to the fact that the tool allows us to document the commercial flows more critically and automate them. Automatic Screenshot generation feature of LambdaTest is very much liked in our team. 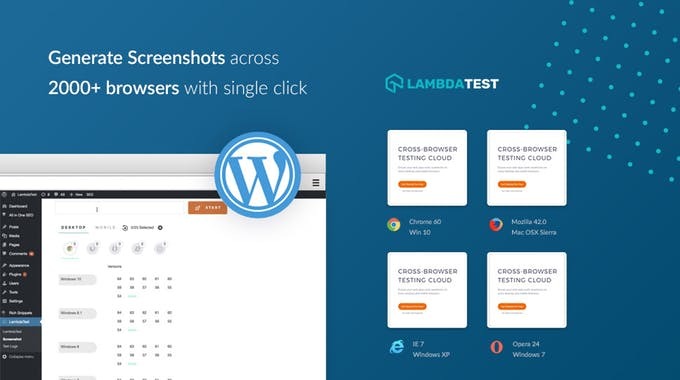 LambdaTest helped our designers very much in designing the web pages with pixel perfect user interface. You did not go anywhere for the updates that have been made to this tool, you can find every news in the blog section. The quality of the testers should be better, so that all of them produce useful, excellent results, and not just some of them. The product could be improved with a more friendly interface and more tutorials to allow new users who do not have any kind of experience to easily adapt. It could also improve customer service. Wordpress plugins would be a plus. I find 99test more useful, since it has a phone support feature that many other applications do not have, and also allows testing in Windows Phone app. Overall, it is very useful for small businesses. Also, it's price is very low, which makes it a very competitive application because it delivers equally reliable and useful results quickly, for less cost. For my manual testing needs, pricing was much cheaper than BS or SL also speed was much enhanced than these. Excellent impact since it allows precise tests before launching the applications, thus preventing capital losses. It helped us to carry a complete documentation of the tests thus reducing times. It reduced the problems that the developers of the organization had because the tests make sure that the new functions work excellently and the old functions do not get corrupted.